Wear the clothing with different style. Bollwyood divas snapped repeating their attires. Mumbai: Known for their fashion quotients, these Bollywood actresses repeated their own outfits like an absolute boss. We spot their oops moment. Have a look! Deepika Padukone: Known for her elegance and simplicity, she repeated her outfit from ‘Ram-Leela’ special screening for the ‘Finding Fanny’ completion party at a lounge. 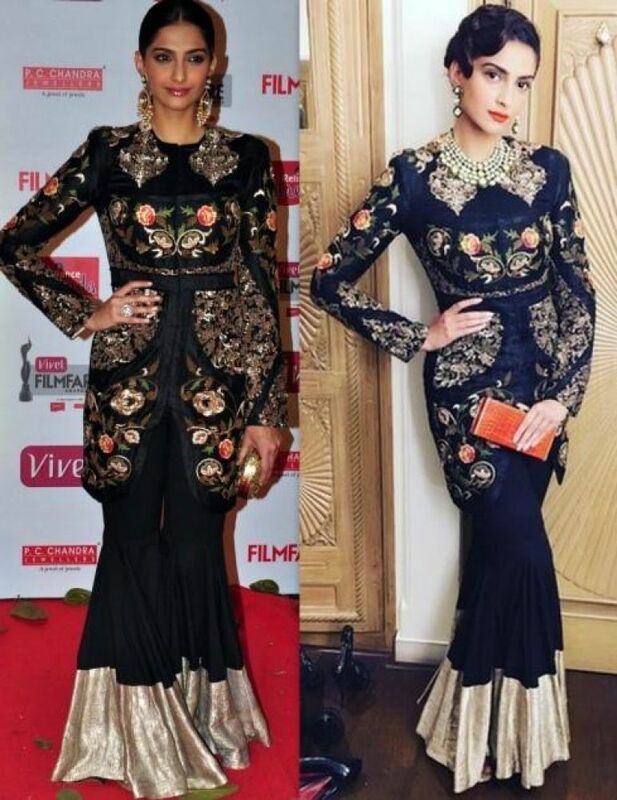 Sonam Kapoor: The actress, who remains in news for setting new fashion statements, wore a jacket with sharara pants with a vintage hairdo at a fashion event but the actress has already worn this outfit at an award ceremony held in 2014. Katrina Kaif: One of the hottest celebs in B-town, Katrina was seen wearing the same dress she had worn for her magazine shoot in 2008 for Ali Abbas Zafar’s birthday bash. Kangana Ranaut: Currently ruling the Bollywood, Kangana was seen wearing this dress at two different events but with different accessories, makeup and hairdo. Genelia D’souza: Yummy mummy Genelia wore the same lehenga she had worn for her brother-in-law’s wedding for her own brother’s wedding too.